Last year was a big success for Polish ports. During the past twelve months, a record of cargo handling has been recorded. The largest three ports, Gdańsk, Gdynia and Szczecin-Świnoujście, transported a total of 101.19 million tonnes of cargo. Marek Gróbarczyk, Polish Minister of Maritime Economy and Inland Waterway Transport, informed this week that the total shipping tonnage in 2018 grew by 16 per cent compared to 2017. It is also a new record for Polish ports. 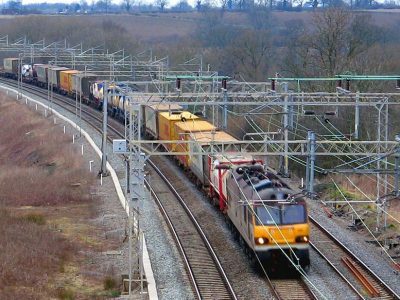 In 2017, 87 million tonnes of cargo were transshipped, compared to 101.19 millions tonnes last year. 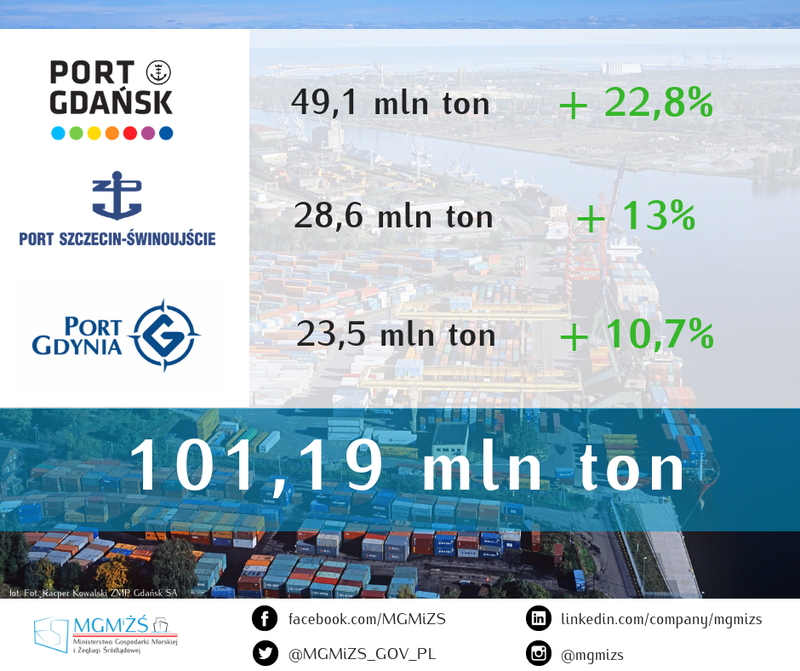 The largest transshipments were carried out in Gdańsk – 49.1 million tonnes (an increase of 22.8 per cent compared to 2017). 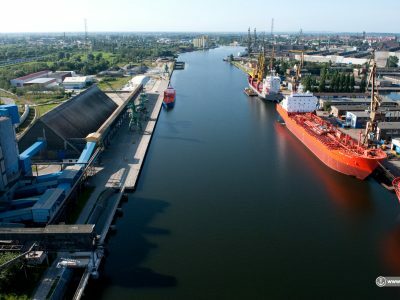 The Szczecin-Świnoujście port came second with 28.6 million tonnes (an increase of 13 per cent). On the Gdynia waterfront, 23.5 million tonnes were trans-shipped (an increase of 10.7 per cent). 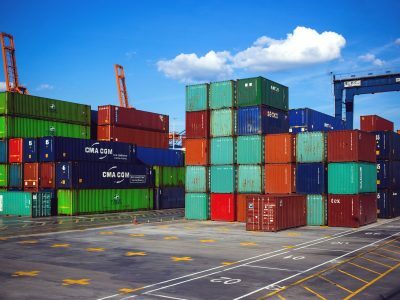 The Maritime Economy Department also said that by 2030, Poland will invest 5.8 billion euros in the three above-mentioned ports, mainly for infrastructure development and modernization.